Left to right: Charles Hoyt of Hoyt’s Moving & Storage; George Woodworth, Ability NB Board Secretary; Stephen Banks; Ability NB Board Director. Hoyt’s Moving & Storage – Our partnership with Hoyt’s Moving & Storage began in April 2013 when the Manager of our Para NB – Sport & Recreation program went on the hunt for storage space for what would be New Brunswick’s first adapted sport and recreation equipment loan service. Just a short, convenient drive up the road from our main office, we found storage and a new community partner. The cost of adapted sport and recreation equipment often means many people with a mobility disability sit on the sidelines and the Equipment Loan Service has set out to change that, in close partnership with Hoyt’s. The team at Hoyt’s – Julie, Danny, Charles & Barry – are incredibly committed to Ability NB and the Para NB program. Julie, the first person you see when you go to Hoyt’s, is always welcoming every time someone comes in to access the equipment. Danny has built new shelving for the equipment and has created solutions to safely store the adapted equipment. He makes every effort to ensure we have what we need. As our equipment inventory has grown, while our operational budget has not, Charles & Barry are flexible with our storage needs and go above and beyond to provide us with adequate space. They have opened up their storage bays so we could hold events such as our open house or so we can bring volunteers in to assemble equipment like the hockey sledges. Hoyt’s has also partnered with us as a sponsor for Feast in the Field and our auction and has provided storage space for our event supplies in return. We greatly value our partnership with Hoyt’s! 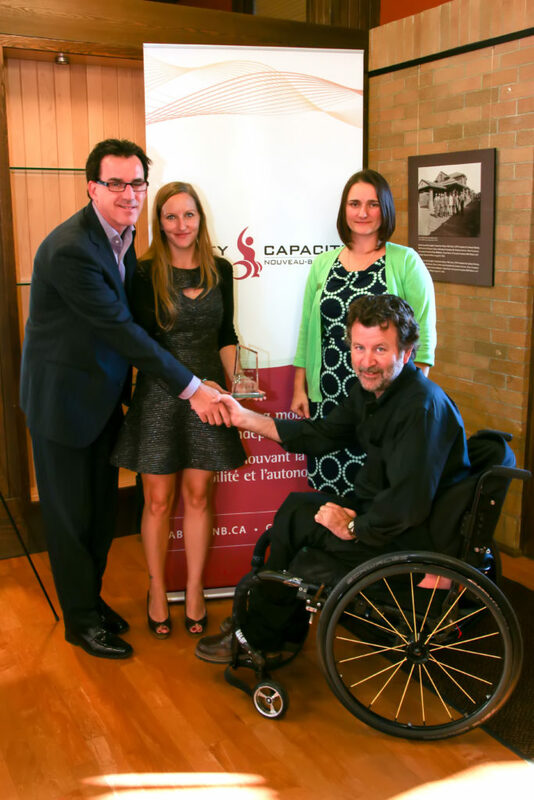 Left to right: Steven Cole and Angela Rowinski from Spicer Cole Fine Jewellers; Christina Collins, Ability NB Director of Development; Pat Guest, Ability NB Board Director. Spicer Cole Fine Jewellers – Ability NB is proud to call Spicer Cole Fine Jewellers our partner. Locally owned and operated by Steven Cole and long-time business partner Gary Spicer, Spicer Cole Fine Jewellers is located in the Regent Mall, creating history with their customers, one piece of jewellery at a time. As a small independent business, Spicer Cole is a great example of empowerment! Being the most certified jewellery store in Atlantic Canada, Spicer Cole is the only Indep endent jewellery store in the east endorsed by the American Gem Society and one of only twenty-eight stores in Canada chosen to represent the De Beers Forevermark brand. Steven and his team are committed to the community and have been long-time supporters of both of our signature events the Art & Antique Auction and Feast in the Field. Spicer Cole has played a key role in our success. They have sponsored our events, provided unique pieces in-kind from their collection for our raffles, volunteered at our events and they have been overall ambassadors for Ability NB. 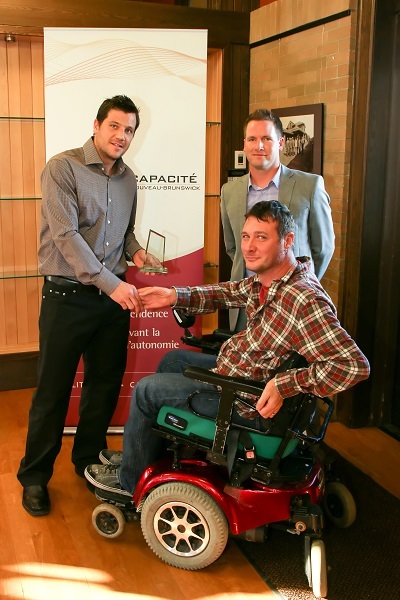 Since 2007, donations from Spicer Cole raffle and auction items have raised over $20 000 for local services for persons with a mobility disability. Spicer Cole Fine Jewellers are a true caring corporate partner.